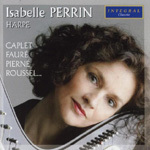 From a very young age, Isabelle Perrin has been passionate about the harp. 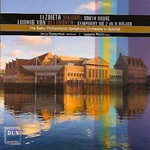 She began her training at the Conservatoire National de Région de Nice (she gave her first public recital at the age of seventeen), then continued her studies at the Juillliard School of Music in New York before joining the San Francisco Symphony Orchestra and later on the Orchestre National de France as co-principal harpist during 25 years. Her warm personality, as well as the deep relationship she has created with her instrument, has incited several composers to create music with her in mind. 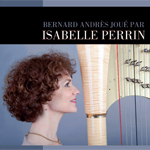 Bernard Andrès has dedicated his Danses d’Erzulie for harp, string orchestra and percussion to her. This piece was world premiered in Cincinnati, USA and the European Premiere was given in Amsterdam a year later. 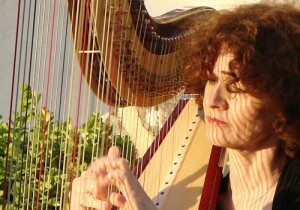 In 2008, Isabelle Perrin explored for the first time the “Blue Harp” (an electronic harp associated with a computer) in Katowice, Poland, with the Concertino “South Shore” for Blue Harp and Orchestra written especially for her by Elzbieta Sikora and performed in different places, among them Taïwan. 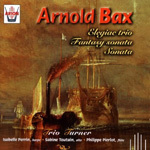 Isabelle has recorded a number of CDs, including one highlighting the works of Bernard Andrès, original works by Arnold Bax for flute, viola and harp, a world premiere recording on a single action harp of F.A. 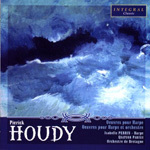 Boieldieu’s works, including the Sonata and the famous Concerto in C Major as well as one of Pierick Houdy’s pieces for harp and miscellaneous instruments, among them the “Concerto Français” which he dedicated to her. 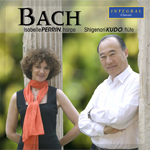 She has also recorded a Super Audio CD of favorite repertoire pieces; a recital of the most famous French impressionist works for harp and a second Bernard Andrès CD with Mexican harpist Baltazar Juarez as well as a CD of both Johann Sebastian and Carl Philip Emmanuel Bach. 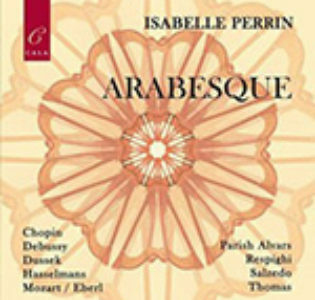 In addition to her career as a soloist, Isabelle Perrin is deeply attached to the transmission of her knowledge. 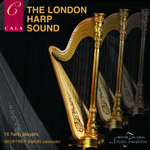 As the youngest recipient of the French Certificate of Aptitude in harp pedagogy (received at the age of seventeen), she has been harp professor at the Conservatoire national de region in Nantes, France, the Ecole Normale de Musique de Paris in 15 years and is now Harp Professor at the Norwegian Academy of Music in Oslo (Norway) as well as Head of the Strings Department. Her fervor and enthusiasm have lead her to give master classes throughout Europe, Russia, the United States, Japan, South Korea, China, Singapore, Australia, Canada, Mexico… Isabelle Perrin is regularly invited as a guest professor by universally renowned institutions such as Indiana University (Bloomington, USA), the Moscow P.I. Tchaikovsky Conservatory, the Juilliard School (New York), the Curtis Institute of Music (Philadelphia). In 2013-2014 she has been “Visiting Professor” at the Music Academy in Krakow (Poland) pour and the Royal Academy of Music (London) where she has been permanently named “Visiting Professor” as well as Honorary Associate. 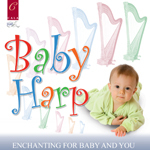 Isabelle has also started a series of harp publications, originals or adaptations under the label Alaw. 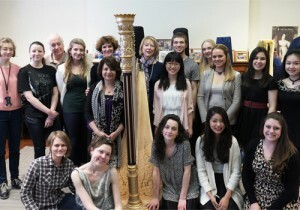 This attachment to teaching as well as her desire to communicate with audiences has lead her to travel the world giving concerts in the hopes of bringing the harp to the general public. In August of 2004, Isabelle Perrin was the organizing president and artistic director of the 6th European Harp Symposium in Lyon, France. Her engagement in the worldwide harp community continues today; Isabelle Perrin is now the new Artistic Director of the World Harp Congress, which organizes an international harp festival every three years in a different country, the last one held in July 2014 in Sydney (Australia) and the next one being in Hong Kong in 2017. In recognition of her exemplary career and her musical commitment, Isabelle Perrin was decorated by the French Ministry of Culture and Communication and admitted to the Knighthood of the Order of Arts and Letters.